This reference work incorporates the insights and expertise of leading liturgists and scholars of liturgy at work today, comprising 200 entries on important topics in the field, from vestments and offertories to ordination and divine unction. It is systematically organized and alphabetically arranged for ease of use. It also includes comprehensive bibliographies and reading lists, to bring the work fully up to date and to encourage further reading and research. New SCM Dictionary of Liturgy and Worship by Paul F. Bradshaw was published by SCM Press in April 2013 and is our 62978th best seller. The ISBN for New SCM Dictionary of Liturgy and Worship is 9780334053026. 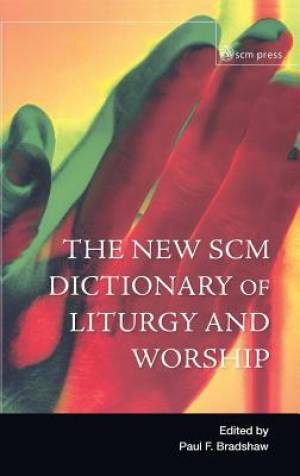 Be the first to review New SCM Dictionary of Liturgy and Worship! Got a question? No problem! Just click here to ask us about New SCM Dictionary of Liturgy and Worship.